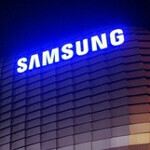 Is the GT-i9500 the Samsung Galaxy S IV? 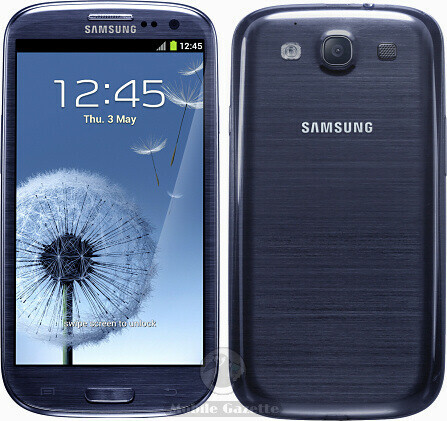 The model number of the international version of the Samsung Galaxy S III is GT-i9300. So when the model numbers of GT-i9500 and GT-i9505 recently leaked for the next Samsung high-end phone and its LTE flavored variant, it appeared that this could be the Samsung Galaxy S IV. But it isn't an open and shut case. It seems that Samsung is using the GT-i9500 number for its Samsung TIZEN developer phone. So the question is, which OS, wearing the GT-i9500 and GT-i9505 model numbers, is currently being tested for an upcoming release? Some have pointed out that because the number "4" is considered unlucky in South Korea, the GT-i9500 could surely be the Samsung Galaxy S IV with the GT-i9505 used for the LTE enabled model. No Samsung high-end phone has ever had a model number with a "4" in it, according to SamMobile, making it seem logical that the company would skip using the GT-i9400 as a model number. So to recap, it seems that the Korean based manufacturer is testing software for two handset models, the GT-i9500 and the GT-i9505 (possibly an LTE enabled version of the phone). With a South Korean company expected to skip over the GT-i9400 because of the bad luck regarding the number "4", it could very well be two variants of the Samsung Galaxy S IV undergoing software tests. On the other hand, the GT-i9500 number is already being used on Samsung's TIZEN developer phone which would seem to give the edge to that platform being involved in the software tests. Additionally, earlier this year there was speculation that the first Samsung TIZEN handset would be released in February. Hopefully, we will have this all cleared up even before CES 2013 next month. 2 + 2 = 4 So yes it is. Will it be better than the Nexus 4? Yea and tbh the Nexus 4 is just a hype phone. Did you really just bash a phone for selling too much that it can't be produced fast enough? The Nexus 4 has a high demand, it sold out in about 30 minutes on release day. A few subsequent stocks didn't last more than an hour. Now it doesn't last more than a day. No current Samsung phone stands up to the Nexus 4, in terms of both pure specs and value. The GS4 will change the specs deal, but Nexus 4 will still be the best value, and still have the edge over it in the pure Google experience with near instant updates. Nexus 4 > GS3 overall Nexus 4 = GS4 overall in my opinion. The GS4 might have more software features and better specs, but the Nexus 4 takes it in value and software support. Honestly, I'd rather be the first to have the update than have a few extra features. Now, if only there were Nexus 4 in stock so I could get one, along with the Nexus 10 since I plan on getting them at the same time. Nexus 4 is cheap because it is heavily subsidized by Google in US. Despite of project butter Galaxy SIII running ICS is still better than Vanilla Jelly Bean. SIII seriously outclasses Nexus 4. Oh, and are you really comparing Nexus 4 with a phone that has yet to be announced ? LOL. What world do you live in? All the reviews I've seen call the Nexus 4 the smoothest Android device yet. Where are you getting your "facts"? It's a vague comparison. I said the GS4 will have better specs than the Nexus 4 and more software features, which it undoubtedly will. But the Nexus 4 will always have the upper hand in value and software support, just like all Nexus do. It's called making sense. S3 > Nexus 4 overall (crippled storage and no USB OTG make the Nexus a half-product imo) Also, "pure Google " is so overrated. Samsung JB premium suite > android 4.2 Have you read the GSM arena comparison between the two ? ... In your opinion. Not everyone needs more than 16 GB of storage. Everyone I know uses no more than 10. Like I said, I would rather be the first to have the update than have a few extra features, most of which I would never use, aside from multi-window, which I find useless on anything smaller than a tablet anyways. I have read it, and most of the "advantages" they pointed out were all subjective; like expandable memory that the average consumer doesn't use, removable battery that I've seen no one take advantage of, and extra software features that I find almost worthless. Meanwhile, the advantages that I pointed out were ACTUAL advantages. Like the price point, I can buy an unlocked 16 GB Nexus 4 for $350, meanwhile I would have to pay near double that for an unlocked GS3 of the same storage capacity. Though I know it is different for other countries. Also the software support, the Nexus line gets more official support and more developer support than the GS3 considering it's the standard for Android and every dev jumps on it as soon as it releases. Then there are my own subjective advantages for the Nexus 4, like the better build quality. The removable back of the GS3 that allows users to get access to the battery creates a weak point, that whenever dropped gets flung off the back and is an inconvenience; also it makes it prone to creaking noises when squeezed, making it feel cheap. Then there's just the terrible look of the glossy plastic. It's all preference. No one you knows uses more than 10gb on their phone??!! And you call more storage a subjective advantage?? Wow, just Wow. Again, some objective facts for you: -One 1080p movie won't fit in Nexus 4 - five games that can take advantage of its GPU won't fit in the Nexus 4 - removable battery means you can take the battery out after the usual life cycle(300-500 charges) and put a new one. Sealed battery means a decrease in battery performance after the same period. - if a sealed battery dies, you must send the whole phone to the repair - S3' battery last much longer than that of the Nexus - S3' usable screen size is significantly larger than that of the Nexus (around 4.4inch diagonal) Also, may I ask you what are the practical advantages of stock android 4.2 compared to Samsung's 4.1.2? Yes, and that 10 GB is the extreme case for one teenage girl who takes copious amounts of pictures. The real median is about 6-7, for the people I know. And I use no more than 2 GB myself. It IS a subjective advantage. Not everyone uses that much storage. Saying more memory is an advantage is like saying a bigger screen is an advantage, which is completely untrue because someone else might find it uncomfortable, just like how someone might find a smaller screen too insubstantial. More memory is a subjective advantage in the fact that some people don't use more than 8 or 16 GB, meanwhile those who do are the only ones that appreciate it. Objective facts, but subjective roots. - Not all people watch movies on their phone. Everyone I know either has a separate device for movies or just doesn't watch them outside their home. - Which games? NFS:MW, Shadowgun, GTA III, COD Black Ops Zombies. Those are the only popular graphically intensive games I could find, though I only searched for 2 minutes. What are the odds that someone will want ALL of those games installed, when most people only have casual games like Angry Birds, Temple Run, Cut the Rope, Jetpack Joyride, etc. - Will admit, you kinda got me there. However, by the end of the usual life of a standard battery, most people will already have, or be looking at a new phone anyways. And the general consumer takes their phone into a retail store when anything is wrong with it, battery or whatever, so while they could be getting a new battery at that store and just swap it out, at the same time someone with a sealed battery can go there and just swap phones. Equal amounts of time. - Where do you see that? In PA's own comparison between the 2, they say (with the GS3 on 3G and the Nexus 4 on HSPA+) that they both get through a good day. Also with Anandtech's review, the Nexus 4 seems to be on par with the GS3 in terms of battery. - Less than 10% of the screen is lost, not much. Also, I like software buttons rather than Samsung's solution of 1 hardware key with 2 capacitive, and I would take a less than 10% screen reduction for it. No bloat to drag the system down, mainly. Just stock vs. any custom UI in general is better, just due to the fact that it runs faster when both have the same hardware. Then there's the subjective advantage that you'll always be up to date with a Nexus, and I'd rather be up to date than have a few extra features that I find useless and slow me down. It's all relative on the person, for me (and most people I know) memory is not important. Samsung's software features aren't that important, considering I won't use any of them anyways, and stock 4.2 delivers everything to what I do while being faster at the same time. There are only 2 things that matter to me mainly when it comes to smartphones; Build quality and software support, and the Nexus 4 is the best at those 2 things while the GS3 lacks in those fields. Man I can't believe what you're serving me as a reply here. You don't use more than 2gb on your phone? Lol, why do you even use your phone for? I have 48gb storage and no space left. These are just the top 3D games I have (your examples are clear proof you are clueless when it comes to gaming on android..gta 3 and shadowgun are outdated and cod black ops zombies is a joke in every way, with poor graphics ) - Dark Knight rises -2.2gb - Modern combat 4 -2gb - need for spreed MW -2gb - N.o.v.a. 3 - 1.8gb - gangstar Rio - 1.9gb - six guns - 1gb - Gta vice city - 1.5gb - Asphalt 7 - 1.7gb - shadowgun dead zone - 400mb - dead trigger - 500mb - dragon slayer - 1gb ..and I have another few gigs of light games on my phone! It's almost 20 gigs of games alone! Oh and there's a 3.5gb game on Android, called The Bard's Tale. As for the battery life, GSM arena test got 51hours for the S3 and 35 for the Nexus. I use my phone for texting, web browsing, Reddit, Facebook, casual games, etc. Also nice to have a decent camera wherever I go. Like I said, I only searched for 2 minutes, went to the top paid apps in the Play Store and just listed the first ones that popped up, excuse me for not being a connoisseur of mobile games; I like to keep my gaming on PC/console only. Much better quality, more selection, and I don't really have free time to play games whenever I'm out anyways. 20 gigs on games alone? You seem to be more of an extreme mobile gamer, rather than the more average of consumers. I don't really care for GSMArena's endurance tests. Real world performance is much different, and with average use, the Nexus 4 lasts over a full day. You're basing all of your arguments on YOUR situation. You aren't putting yourself in the shoes of the AVERAGE consumers. The average consumers don't use over 40 gigs of storage, half of which being games like yourself. And the average consumer probably doesn't spend nearly as much time playing games as you do, so they don't need the "endurance" tests or the ability to swap batteries. Look, if the GS3 works for you, that's great. It suits your needs of high battery and memory consumption, just as a heavy mobile gamer would. However, don't try and bash me for not needing all of that. Because really, what do I need more than 16 GB of storage for? I just do basic media consumption and social networking, along with a few casual games, which about 70% of the smartphone owners of the world do. Why are you trying so hard to prove a device is better, when its supposed "advantages" are only relevant to the extremists of the mobile world? I traded the removable battery of the GS3 for the build quality of the Nexus 4, because the Nexus 4 lasts a full day with normal usage. I traded the expandable storage and extra software features for better software support, because I don't need more than 16 gigs, and I don't use those extra software features anyways. I'm just saying, for the AVERAGE consumer, the Nexus 4 is probably the best offer. $350 off contract, good amount of storage, amazing build quality, top of the line specs (minus 1080p display), and always staying up to date with the fast evolving Android ecosystem. Kind of hard to beat, unless you absolutely need expandable storage and removable battery, like yourself. I feel the same about console/PC gaming. It's nice to come home after a busy day and just sit back in my nice chair with my headset on and just play some COD, Assassin's Creed, Garry's Mod, Natural Selection, etc. I get having music and photos, I have 8 gigs of music alone on my iPod. I don't have too many photos though, I just take a picture of the occasional special moment. As for movies, I never really saw the benefit of having movies on my phone when I just go to an actual movie theater, or buy it online and watch it on my desktop when I don't feel like going out. However, I will be getting a Nexus 10 soon (whenever they get back in stock) to store a couple movies whenever I go on vacation to pass the time of the actual driving/flying part (since I don't have a laptop). I just find movies on a less than 7" screen lackluster, that includes the GS3 and Note. Just because I relax in front of a monitor while gaming instead of a phone display, and keep movies in the theater or on my desktop instead of phone doesn't mean I haven't experienced a high-end phone. I just never saw the benefit of using my phone for everything when I have a much more practical desktop. For being social, snapping a few good pictures, and some casual entertainment, maybe some music (I keep my music on a separate device though), I find the extent of practical use on a smartphone, the only reason I upgrade my phone is to make those things faster. If you find more use out of it, that's nice, but you and I just have different taste in terms of entertainment. And so is the GS3. It is just an ugly soap.